Cabo Del Mar condos are located in the West Huntington Beach area of Huntington Beach, California. 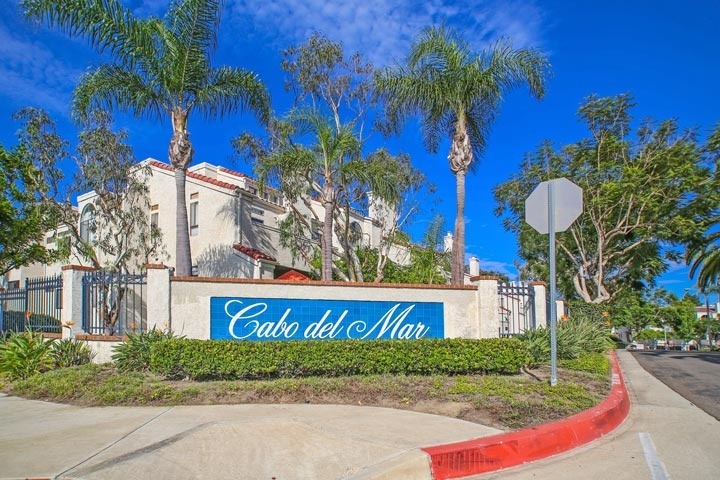 Cabo Del Mar is a gated condo community with a wide range of amenities which include an association pool, spa, tennis courts, racquetball courts, sauna, clubhouse and a large greenbelt area. The location is ideally situated near shopping and walking distance to the Bolsa Chica wetlands and the beach. The homeowners association dues cover water, trash and insurance with dues that average $317.00 a month. Below are the current Cabo Del Mar homes for sale and for lease in Huntington Beach. The Cabo Del Mar homeowners association phone number is 949-768-7261 and is managed by Professional Commercial Management. Please contact them with any association related questions. For Please questions regarding this community and any of the homes listed for sale here please contact us at 888-990-7111 today..